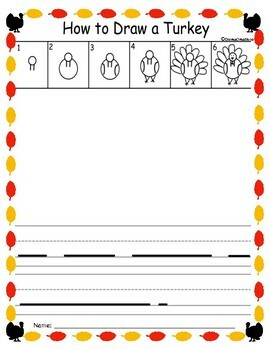 A quick and fun Thanksgiving activity for the younger grades. 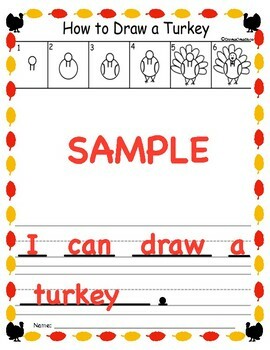 In How to Draw a Turkey, your students will follow you or on their own step by step to be able to draw a turkey. Then they will write the sentence I can draw a turkey.